Suicide still can’t be predicted better than a coin toss. Despite hundreds of theories and piles of research it still remains a huge societal issue: someone dies by suicide every 40 seconds worldwide. Professor Daryl O’Connor (University of Leeds) has been working with colleagues, and twin brother and suicide researcher Professor Rory O’Connor (University of Glasgow), to see if a blunted response to stress could uncover one of the mechanisms behind suicide. O’Connor is particularly interested in the role of cortisol and its function, or dysfunction, in the stress response. Cortisol is the primary effector hormone of the HPA axis (hypothalamic–pituitary–adrenal) and excessive, repetitive activation of the cortisol system leads to dysregulation of the HPA axis. We also know, O’Connor said, that cortisol is linked to cognitive control and emotion. O’Connor’s group wanted to explore both the role of cortisol as well as family history of suicide or suicide attempts. Their experiment involved 160 participants; controls, who had never considered suicide, ideators who had thought about suicide within the previous 12 months, and attempters who had tried to die by suicide. 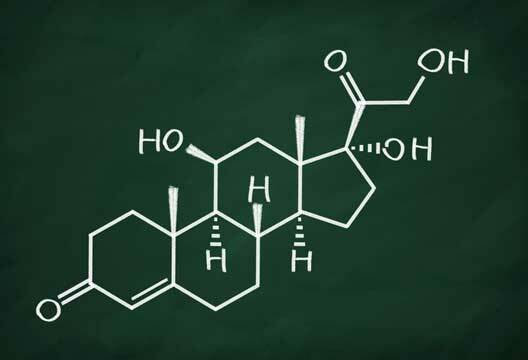 Their cortisol was measured for its baseline levels and after the Maastricht Acute Stress Test, one month and six months later, their personal and family suicide histories were also taken. The highest levels of physical and emotional neglect as children were found among the suicide-attempt group: this group had also experienced the highest levels of physical, emotional and sexual abuse as children. This group also released significantly lowered cortisol when compared to controls, even when controlling for age, BMI, gender and time of day. These findings became even more marked when dividing this group into those who had attempted suicide within the last 12 months compared with a more historical suicide attempt. Those who had a more recent attempt showed a much more blunted cortisol response. However, as O’Connor pointed out, there was a silver lining: those with historical suicide attempts were slowly beginning to show a more normal stress response. Could this dysregulation of the cortisol system be heritable? O’Connor and colleagues found those who had attempted suicide and had a family history of suicide had an additional vulnerability to suicide indicated by a dysregulated stress response. However, the finding that O’Connor said ‘blew him away’ was that they could predict future suicidal behaviour by the amount of cortisol released in the lab – those who released significantly less cortisol were significantly more likely to want to die by suicide four weeks after the measurement in the lab. The effects of having a recent suicide attempt, O’Connor said, highlight a window of opportunity for intervention. - Read the journal article. Find much more about suicide in our archives, plus an interview with Daryl and a personal take from Rory.